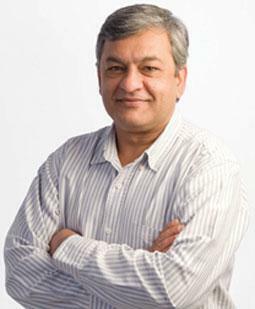 InternetNZ CEO Vikram Kumar writes that opportunities and challenges for the ICT industry in 2012 can be put into two categories - the continuation of current trends and the unexpected, hard-to-predict. 1. Copyright: The 'three strikes' notice fees review scheduled for March 2012 will see Hollywood lobbying for a decrease in the $25 fee while everyone else will resist it. Expect no or little change. But angst over copyright penalties will not go away. And, periodically, the Trans Pacific Partnership agreement negotiations and Copyright Tribunal cases will bring it back into the spotlight. 2. Digital dividend: Expect lots of noise as various players push their positions in the run up to key decisions about auctioning the 700 MHz spectrum. Government will push on in the name of closing the rural/urban internet divide to Vodafone’s delight. 3. Demand side: This phrase will come up again and again as Government and, more quietly, ISPs get increasingly concerned about people buying into fibre broadband. Calls for regulating Sky and a common telecom/broadcast regulator will grow. Expect no real progress on both with Sky manoeuvering support behind closed doors. Government’s five point action plan (“E-whatever”) will be a damp squib. As to the second category of the unexpected, by definition that’s hard to predict. But it’s more fun. Rather than the next Facebook or Twitter, I think 2012 will be people taking on the things that pleased early adopters in 2011 but with a twist. Within the home, 2012 will see the consolidation of a trinity of gadgets - TV, tablets, and the former games console turned into a home command centre. I think the humble TV will change the most and emerge as the preferred user interface for both entertainment and communication. People yelling and gesturing wildly at their TV will be normal. 3D TV will lead to a 3D Web. And, the TV will be the interface for controlling the washing machine, fridge and alarms. On the business front, the really exciting things will be happening under the radar - in the garage, living room and study. Kiwis will find new entrepreneurial opportunities and markets, from virtual goods to social businesses. ‘Can do’ will combine with creativity and the internet to power new home-based businesses that will be the engine room of growth. And, finally, my best for last. 2012 will mark the beginning of a new, golden dawn for the ICT industry. Seriously. It will not be led by the ICT Minister Amy Adams but the previous ICT Minister Steven Joyce (now Minister of Science and Innovation, as well as Economic Development) who will make the connection between jobs and Jobs. Expect to hear a lot about the ‘weightless economy’ driving exports, growth and employment. Rather than grand strategy and vision, the ICT industry will finally find a prominent place in the nation’s landscape by circumstance. * This fortnight Computerworld is featuring a series of opinion pieces by leading ICT professionals in which they look at what's in store for 2012. Tomorrow: IBM managing director Jennifer Moxon and Alcatel Lucent technology director Kurt Rodgers.